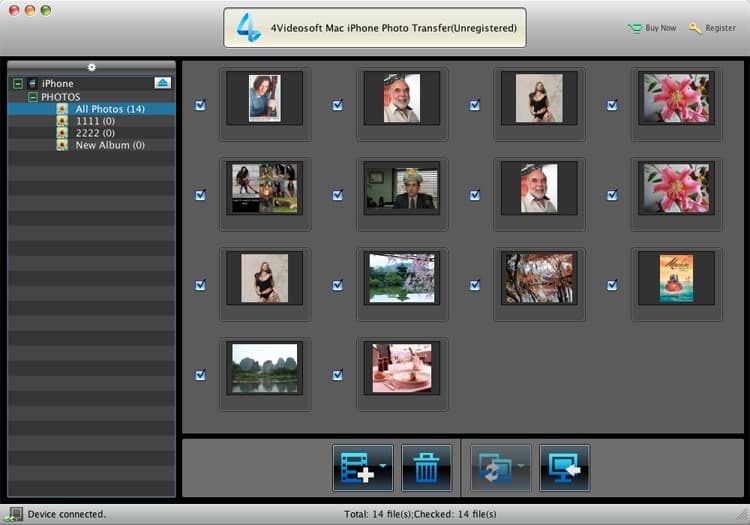 4Videosoft Mac iPhone Photo Transfer is the best iPhone Photo Transfer for Mac users, you can use it to transfer all iPhone photos to computer and iTunes for backup. And you also can import local photos to iPhone for your preference. choose to delete the unwanted camera roll and pictures easily. iFunia Video Converter Pro for Mac is all-in-one and professional Mac video converter you can use to convert video of all popular formats like AVI,WMV,MKV,FLV,H.264/AVC,MP4,RM,MOV,3GP,etc. Video editing and batch conversion are also supported. 4Easysoft DVD Converter Platinum is the best DVD Converter software, which can convert DVD to AVI, MP4, WMV, MOV, M4V, FLV, SWF, 3GP and HD H.264, HD AVI, HD MPG, HD TS, HD WMV, HD MPEG 4, HD MOV, HD ASF, etc.